SIU presentation to Scopa on investigations at SABC - SABC News - Breaking news, special reports, world, business, sport coverage of all South African current events. Africa's news leader. The SIU says there was evidence that there were irregularities in awarding of tenders to eight companies. On Wednesday the Standing Committee on Public Accounts (Scopa) was forced to send the South African Broadcasting Corporation (SABC) back for not providing the information that the committee had requested on irregular expenditure amounting to R4.9bn. Scopa had sent letters to the SABC detailing exactly the kind of information that was required for Wednesday’s meeting. However, the committee was told at the meeting that the information that Scopa had requested on the irregular expenditure is not available. Lack of this information made it difficult for the committee to continue with deliberations on the financial statements of the SABC, that the committee should deal with. The report which detailed two phases of investigations included the specific cases, names of the people involved, the amounts involved and the status of the matters currently being investigated. This information has assisted the committee in keeping track of the consequence management that is happening at the SABC in light of the hundreds of billions of rand that should be recovered from the implicated individuals. The SIU says there was evidence that there were irregularities in awarding of tenders to eight companies, the awarding of Hlaudi Motsoeneng’s success as well as various appointments and salary increases awarded to Motsoeneng. The SIU confirmed the Public Protector’s findings following appointments of SABC staff or salary increases were irregular for Sully Motsweni, Thobekile Khumalo and Guga Duda. 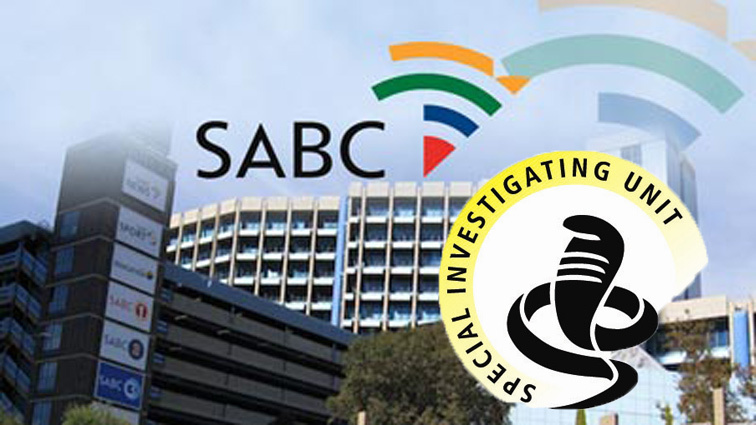 Scopa has also welcomed the detailed report from the Special Investigating Unit (SIU) on all the investigations at SABC. This entry was posted on 08 Nov 2018,11:35AM at 11:35 AM and is filed under South Africa, Homepage Featured Story Slider. You can follow any responses to this entry through the RSS 2.0 feed. Both comments and pings are currently closed.